DC Gray – World Traveler Entrepreneur – GREAT IDEAS TO ENHANCE YOUR LIFE AND YOUR BANK ACCOUNT! 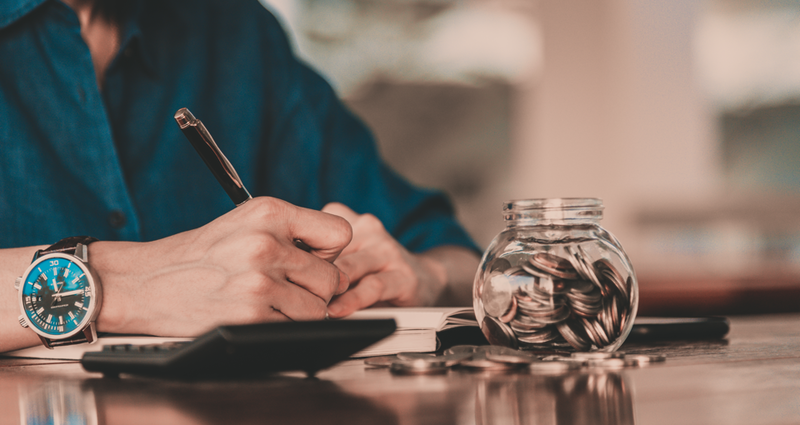 Whether you’re doubling-down on a big money goal or just want some extra cash in your budget for summer fun, now’s the perfect time to figure out how to earn more money over the next few months. Luckily, spring offers a ton of side job opportunities. Here are some top side gigs to consider—plus how to start ramping up now. 1. Work the party circuit. From graduation celebrations to wedding showers for summer brides and Memorial Day barbeques, spring is the season for partying. This makes it a great time to kickstart any event planning, catering or baking business you’ve been thinking about—or find a gig helping out established companies. According to Payscale and Salary.com, catering chefs earn an average of about $15 an hour, and event planners can earn around $30—but you can set your own fees, based on what your market and desired clientele can handle. Start planning now: If you’re starting a home catering business, you may need a food handlers permit; most states offer online courses. Beyond that, work on advertising your services in late March and April on sites like TaskRabbit and ThumbTack, as well as local Facebook and Nextdoor pages. If you’re prefer to be an extra set of hands for caterers and event planners, start reaching out to local companies or scan listings on Indeed and ZipRecruiter. Proms are usually scheduled around the same time, so snagging a salon or makeup appointment can be tough for party-goers. Enter: a traveling glam squad, courtesy of you. Start planning now: Your window here is short—maybe just six Saturdays in April and May, so move quickly. In March, find a few willing friends to serve as models for an online lookbook on your own website or Instagram and Facebook profiles. Not only will this showcase your skills to potential clients, but it’s smart to practice some on-trend looks to make sure you have the technique down and get a rough idea of how long it takes to finish an updo or smokey eye. If you’re setting your own prices with friends and neighbors, consider pricing per job—say, at least $40 for hair and makeup. If your skills are pro level, apply for work through on-demand beauty apps like beGlammed or GlamSquad. 3. Roll out the welcome mat for tourists. Do you live in a destination people flock to for spring break? Rather than huff over the crowds congregating near your favorite restaurants, get those tourists to spend some of their vacation budgets with you. Start planning now: Check out local tour services, like ToursByLocals or Vayable, looking for local experts; sign up to plan a local “experience” through Airbnb; or host visitors in your home. You can charge top dollar during peak vacation season. For even less effort, you can accompany visitors to local museums or restaurants as a RentAFriend. If you can get over the awkwardness, you can expect at least $10 an hour. And don’t forget rideshare apps like Uber or Lyft. In a week or less, you can have your approval and be ready to drive. Earnest reports drivers earn more than $350 per month on both apps. Did you know that you can earn Found Money when you become a Lyft driver? 4. Clean up by cleaning out. You know what “sparks joy”? Making cold, hard cash from castoffs. After spring cleaning your own home and selling any unwanted items, get paid for helping others do the same. 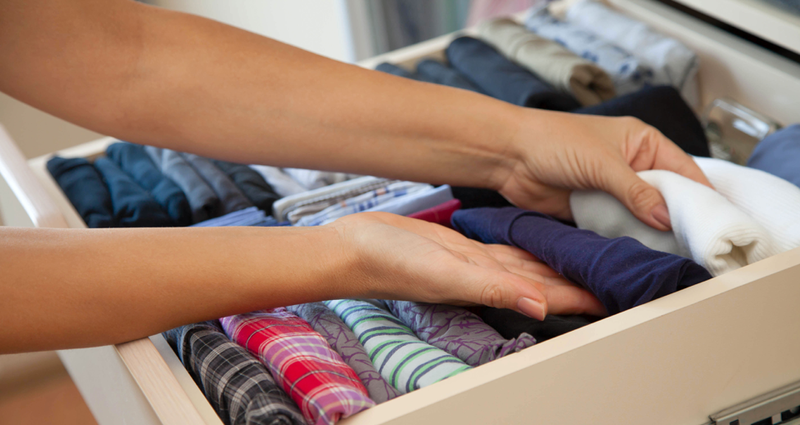 You can start a professional organizing business—average professional rates run from $30 to 80 an hour—or help time-strapped people sell their best items, while taking a cut for yourself. Considering consignment stores take 50 percent, you’d be smart to slash your rate to 30 percent or less to stay competitive. Start planning now: Offer your services now while Marie Kondo is still trending by advertising on local social media platforms, putting flyers on community bulletin boards and, if you’re going the professional organizer route, creating your own website with some before-and-after photos. For lawn care, you can make up to $35 to $50 per job, according to Angie’s List. 5. Make some green from your green thumb. Many people want a lovely garden, but not everyone digs putting in the work. If you’ve got a green thumb, help homeowners plan their plots with pretty flowers or veggies and herbs. You can also offer to mow lows, weed, clean up brush, trim trees and other lawn care tasks. Start planning now: Pick a neighborhood and create a clever marketing gift to drop on doorsteps, maybe just a few seeds taped to a flyer, along with your number. You also could contact local garden clubs to see if they ever get requests for services they can’t fulfill. And reach out to local nurseries—if they don’t have their own “labor,” they might be willing to market your services in exchange for purchasing their plants for all of your clients’ gardens. 6. Work at sporting events. Like to call balls and strikes? The demand for umpires is high during the spring for baseball and softball leagues, and you can usually score either mid-week evening games or weekend tournaments. Youth league umpires can make $15 to $30 per game, reports one umpiring site. You may also be able to work at minor league ballparks, taking tickets, selling concessions or ushering fans to their seat, usually for minimum wage—but sometimes getting tickets to games you aren’t working as an extra perk. Start planning now: It’s not too soon to contact your local parks and recreation department, as training often starts in the winter months. If you missed any necessary orientation classes, many leagues still have a need for umpires and often will offer specialized individual training. Whether you’re looking to get a new credit card, rate-shopping for auto loans or participating in a background check for a new job, you can expect your credit score to be checked at some point in your adult life. 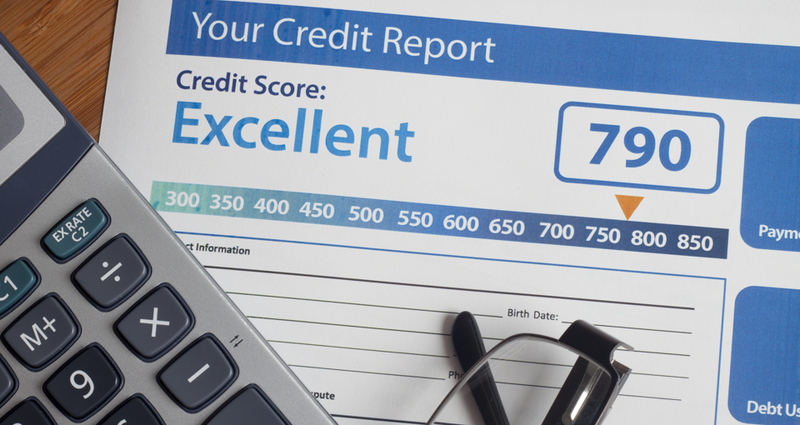 But what is a credit score, and what does it tell people? Credit is essentially the mechanism that allows us to spend money today with the understanding that we’ll pay it back later—so lenders, understandably, want some assurance that we’ll make good on those payments. That’s where credit scores come in. This three-digit number, derived from the information on your credit report, provides lenders a snapshot of your creditworthiness (or trustworthiness to pay back that money). The higher your score, the more likely you are to get approved for whatever it is you’re applying for: a new credit card, the lowest interest rate possible on a loan or even an apartment lease. Don’t fret if you’re not at 850. The vast majority of us aren’t—and it’s not necessary, anyway. According to FICO, the national average sits at 700, and anything in the “very good” range is likely to get you the best rates available on loans. (The lower the interest rate, the less it costs to pay that money back.) On the other hand, you’ll likely need a minimum score of about 680 to qualify for most mortgage lenders. Your payment history (35 percent): A history of making regular, on-time payments is the most important factor. Amount of credit owed (30 percent): Your credit-utilization ratio (i.e., how much available credit you’re using compared to your limits) is another big one. If you must carry balances, Experian suggests keeping them below 30 percent of your total available credit. Length of credit history (15 percent): Generally speaking, the longer your credit history, the better. If you’re new to the whole credit thing, work on nailing the other factors. Credit mix (10 percent): How diverse are your open accounts? Responsibly managing a mix of credit lines, like credit cards, mortgages or student loans, makes up one-tenth of your score. New credit (10 percent): From FICO’s point of view, opening multiple credit lines within a short time period is a red flag, particularly if you have a short credit history. When it comes to improving your credit score, owning your information and regularly checking in on your progress is key to success. When it comes to improving your credit score, owning your information and regularly checking in on your progress is key to success. You can pull your credit report from each of the three credit bureaus (Experian, TransUnion and Equifax) for free every year at AnnualCreditReport.com. If you spot an error, be sure to report it as this should boost your score. NEED HELP IMPROVING YOUR CREDIT SCORE OR JUST WANT TO MAKE YOUR FINANCIAL SITUATION BETTER. I CAN HELP. We often use the terms “saving” and “investing” interchangeably. After all, both refer to key habits you must practice in order to achieve financial success. But they’re not really the same. Saving is setting money aside for (usually short-term) future use, separate from what you plan to spend right now. Investing is taking the money you’re saving and using it to purchase assets that you expect to pay returns over time—in other words, helping you grow your wealth. How do you decide what money to save and what to invest? First, you have to sort out your financial goals and determine your timelines for achieving them. Typically, you’d want to save money for goals you’d like to accomplish within a year or so. For anything that will take longer, you may be able to afford to invest the money. When you’re shooting to reach a goal soon, you want to be sure the money will be there when you need it—and saving offers the best change of that. The tradeoff for safety, though, is that money saved doesn’t tend to earn much while it sits. For example, even the highest yielding savings account right now offers a rate of just 2.39 percent, according to Bankrate. The average savings account comes with a rate of merely 0.10 percent, as of mid-January 2019. The upside: You can rest assured that the money you’ve put into the account will be there, whenever you need it. Investing can generate greater returns—but with greater risk and ups and downs. Investing can generate greater returns—but with greater risk and ups and downs. For example, aside from some rocky months in 2018, stocks have been on a tear in recent history—gaining 267 percent from March 2009 through December 2018. But in the last bear market (generally defined by a drop of 20 percent or more from the recent peak), the S&P 500 plummeted 56.8 percent between October 2007 and March 2009 before it began to recover. Over the long term, though, the stock market has historically always gone up. Since its inception in 1928, the S&P has returned about 10 percent a year, on average. So if you have a long timeline for a particular financial goal, such as retirement, the idea is that there’s time to recover from the bumps along the way. Plus, you can—and should—invest in more than just stocks, like bonds, real estate and, of course, cash. That way some of your holdings have a chance to increase even as others might drop, and investing can continue to help you meet your goals no matter what any one investment does. And I have to save and invest? If you want to be financially healthy. You need some savings on hand to at least cover yourself in an emergency. Most experts advise people to have three to six months’ worth of expenses squirreled away in an emergency fund. And even as you work to save for the short term, you also want to invest for the long term to maximize the time that money has to grow. The best chance to set yourself up financially is to get in the habit of consistently saving and investing. MAKE TIME TO READ EVERY DAY. WORK HARDER THAN YOU DID YESTERDAY. START A BUSINESS THAT HELPS OTHERS. understandingmoneypays.com WILL SHOW YOU HOW! Big goals can feel even bigger from the starting line, so let these stories of how people crossed those money goals off their 2018 lists inspire you to take the first step. Ashleigh, 37, a blogger in Knoxville, Tenn.
“At the beginning of this year, I had $6,000 of student loans left to pay. After a decade of teaching, I’d spent the last two years as a stay-at-home mom, and wasn’t making as much progress on my debt as I wanted. If we continued making the minimum payments, it’d take another two years before we’d be debt-free. I was itching to get there faster after I realized how much money I was throwing away on interest (7.25 percent really adds up! ), so I started brainstorming better options. My biggest wins were figuring out how to make money from my blog through ads—which helped me increase my after-tax income from $320 per month to $1,400 just 10 months later—as well as meal-planning and eating at home more often. That alone now saves us $300 per month, compared to our old habits. My husband Ryan even sold his Toyota 4Runner and bought a used car using $2,500 from our savings, eliminating his $250 monthly car payment. These moves required some ramp-up time, and a few sacrifices, but have been well worth the payoff. Evan Sutherland, 27, and Nikayla Sutherland, 25, online business owners in Pullman, Wash.
“2018 was a huge year. Nikayla and I had finally launched a business we’d been working on for months. We went all in to make it grow as quickly as possible—which included me dropping out of grad school and her saying so long to a sonography career. Extreme, I know, but we’d realized that 50-hour workweeks for the next 40 years wasn’t for us anymore. We craved purpose and passion, which fueled the idea for our business: an online course that teaches people how to budget successfully. Since we weren’t yet generating income, we began living off our savings (which was in good shape from years of prioritizing building it up). Every dollar mattered, so even though we were already living pretty frugally, all unnecessary expenses went out the window—from a spending a few bucks on coffee to video game splurges. Living on the bare minimum definitely isn’t glamorous or easy, but we’ve been buoyed by the fact that we’re working toward something special—so we keep chugging. All told, we reduced our spending by 19 percent last year, mostly by keeping the status quo: I’ve worn the same pair of shoes for two years, get hair cuts as infrequently as possible and usually stick with the same simple (and cheap) menu every day. We also try to optimize our electricity usage for the season, which shaved 30 percent off our average bill. Entertainment consists of playing games together at home or watching Netflix. These sacrifices are paying off. Our business is now bringing in enough to cover half of our expenses, and our savings account is healthy enough that we’re not worried about running out before our monthly income sustains us. Once we’re there, we’ll probably loosen the reins a little bit, but there are some frugal habits we’ll definitely keep up. Taking long walks together and playing games for fun isn’t just free—it’s also an opportunity to connect. Pulling back our entertainment spending has taught us to appreciate just being with each other. Alexandra Tran, 34, a marketing strategist in Seattle, Wash.
“One of my 2018 New Year’s resolutions was to significantly up my savings rate. I already had good money habits, like funding my Individual Retirement Account (IRA) and other long-term savings and keeping my expenses low. (My mortgage is just 14 percent of my income, for example.) But I’ve got my eye on early retirement in about 10 years, so I really wanted to challenge myself. So I set an intention to sock away about a quarter of my $80,000 salary—and ended the year with $22,000 more in savings. I started with some easy wins, like shopping less and limiting myself to one of everything (i.e., one black jacket instead of two styles). I also scaled back entertainment spending—skipping the movie theatre in favor of Netflix and volunteering at special events (which cost as much as $300 a head!) to gain free entry. These moves didn’t add up to much regular savings, but they got me in the mindset to consider how every dollar counted toward my goal. Next, I looked for simple ways to maximize everyday financial moves. For example, I took advantage of my bank’s offer of $200 for moving some cash into a money market account. And I got strategic with credit card rewards and coupons. I have a few cards that offer 2 to 5 percent cash back on rotating categories (like groceries and gas), and I charge everything—from transportation costs to utilities, food, pet supplies and even my mortgage. I use an app called Debitize, which automatically earmarks cash from my checking account to cover my credit card purchases. This way, I don’t accidentally overspend or revolve credit card debt. I also scour weekly supermarket specials and time necessary shopping around big sales at outlet malls. Stacking coupons on top of in-store discounts—and paying with cash-back cards—has gotten me up to 80 percent off before. Overall, I’ve whittled down my $150 weekly grocery bill to about $40. My most effective move, by far, was finding ways to earn more. I recently began renting out my guest room to students for $700 per month—easy, passive income. I’ve also downsized my belongings by as much as 60 percent. As a former impulse shopper, I had a lot of nice clothes and home goods that I wouldn’t miss, so I sold them on sites like Poshmark and Mercari, raking in thousands (and the lion’s share of my savings for the year). READY TO START A BUSINESS THAT HELPS EVERYONE INCLUDING YOU! Got an extra $638 laying around that you won’t miss? Yeah, me neither. Yet that’s how much the average American will spend on holiday gifts this year. The good news is we don’t have to be average. Avoid paying full price and it’s a lot easier to trim holiday spending. Here are eight ways to do that without compromising on the gifts. 1. Go for discounted gift cards. On sites like GiftCardGranny and GiftCards.com, double-digit discounts on gift cards for GameStop, Nordstrom and Urban Outfitters are easy to find. Use the discounted cards to buy gifts—or gift the cards themselves. Americans have ranked gift cards the #1 most popular wish list item for 12 years in row in National Retail Foundation’s annual holiday survey. 2. Sign up for the list. To attract new customers, some retailers offer discounts for your first online purchase. For example, you can get 15 percent off and free shipping at Kate Spade, 15 percent off at Kohl’s and 10 percent off from Dicks Sporting Goods simply by signing up for the brands’ newsletters. If you stay on the list, you can potentially score even better deals. Victoria’s Secret sends special promotions twice a day to its email subscribers, and Bed, Bath & Beyond sends coupons for $5-$15 every month. When online shopping, try leaving items in your virtual shopping cart overnight. For some retailers, like Bonobos, that triggers a “you forgot something” email, where they may offer an extra discount to motivate shoppers to complete their purchase. 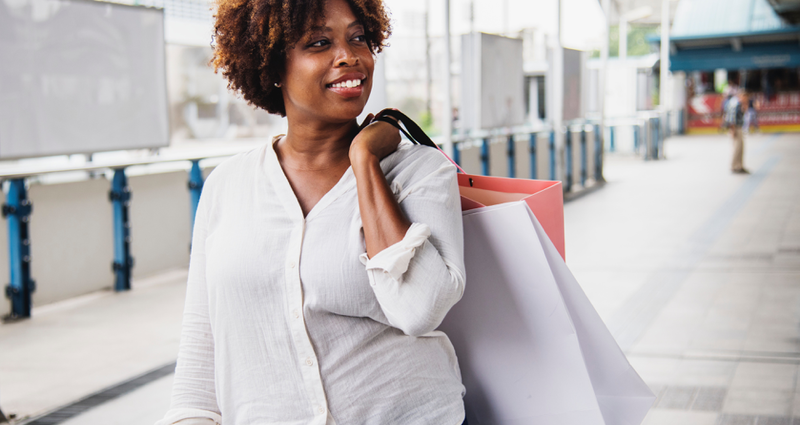 Local brands in particular are likely to offer exclusive deals to their social media fans, says Chelsea Hudson of TopCashBack.com—so follow your favorite stores on Instagram, Twitter or Facebook for an inside scoop on flash sales, promo codes and giveaways. Bloggers and social media “influencers” partner with brands and share their own promo codes with followers, too. In many cases, the gift you’re looking for is sold at a bunch of different retailers—so do a little research before buying to ensure you’re paying the lowest price. If you’re in store, swing by the customer service desk; they’ll often price-match what you find online to convince you to buy an item right then. If you’re in store, swing by the customer service desk; they’ll often price-match what you find online to convince you to buy an item right then. At clothing line Boden, refer a friend for a $15 coupon, and your friend will get 20 percent off their first purchase, too. At shoe company Rothy’s and Rebecca Minkoff, referring a pal will get you each $20 to spend, and UNIQLO will give you both $10. 7. Watch for price drops. If you’re looking for a specific item but can’t find a coupon or sale, tools like Savelist, CamelCamelCamel (for Amazon items) and SlickDeals’ alerts will keep track of prices and notify you when a new deal is posted. If you don’t ask, you won’t get. Some (usually smaller) businesses may offer a discount for paying in cash, so they can avoid paying fees levied by credit card issuers. And in secondhand stores or on resell marketplaces, like eBay and Poshmark, asking the seller directly if they’re willing to lower a price is likely to save at least a small amount. WOULD YOU LIKE TO GET PAID TO HELP SOMEONE ELSE GET THERE FINANCIAL AFFAIRS IN ORDER? Click the link above to find out how. 1. Don’t hit snooze — Getting a late start only leads to morning stress so when that alarm goes off, try try try to get your feet on the floor the first time. 2. Write something down — Did you have any good ideas or dreams while you were asleep? Get ’em down right away. Your relaxed, sleeping brain is open to ideas that you might not come up with while preoccupied with daytime activities so take advantage of any flashes of genius you have. 3. Forget yesterday, focus on today — Still stressed about things that happened yesterday? Why? You can’t change it so let it go. 4. Think of something you’re grateful for/ excited about — There’s always something to look forward to. 5. Leave your phone alone — Do yourself a favor and log at least 10 minutes of life sans screen time first thing in the morning. You can still check the weather, your email and the news, just don’t do it while lying in bed. 6. Drink a glass of water — It never hurts to be hydrated so get a jump start on your daily water intake first thing. 7. Get some natural light — Throw open those curtains right away! Getting a little sun will make your brain wake up and realize it’s time to function. Waking up in the dark on these long winter mornings? Take a mid-morning walk, open a window and do your best to get a little light. It’ll perk you right up. 8. Stretch — Get your blood flowing with a little light stretching. 9. Make the bed — It’s not only us, science says making your bed will make your whole day better. 10. Do something you don’t want to (and cross it off your list) — Dreading doing a chore you hate is so much worse than actually doing it. Get it out of the way right away and free up that mental energy. IMAGINE HAVING THE BENEFITS OF A TRADITIONAL BUSINESS CAREER, BUT WITHOUT SOMEONE ELSE CONTROLLING YOUR INCOME, HOURS AND OVERALL JOB SECURITY? The FES Protection Plan is a powerful program which encompasses many of our unique financial products. Unlike any other financial service on the market, the FES Protection Plan is designed to cover all aspects of your financial portfolio. You can access your easy-to-use online portal at any time and our customer service team is available to answer any questions. Keep yourself, your family and your financial assets protected with the FES Protection Plan. Financial Education Services donates $2 from every FES Protection Plan payment to the Youth Financial Literacy Foundation. Staring down any amount of debt can feel overwhelming. But when it’s in the six figures, it can be hard to imagine even getting back to zero, much less building up your savings, too. If you’re looking at a mountain of debt, let these stories inspire you. The three couples below not only paid down six figures of debt, but now have a net worth in the six figures. Here’s how they did it. John, 30, and Rachel M., 27, U.S. Coast Guard officer and stay-at-home mom in Cape Cod, Mass. “When my wife and I tallied up our student loans in 2015, we learned we were more than $107,000 in the hole. We knew we needed to do something—fast. The idea that making some big changes in the way we managed money today could lead to financial freedom in the future was the motivation we needed. Getting started: We started tracking our spending carefully, which highlighted wasteful expenses that we eliminated. We went on fewer trips, stopped buying expensive groceries, gave up alcohol and put off big purchases we wanted, like a boat. With some work, we were able to set aside about 50 percent of our low six-figure income—and upped that percentage even more when we got raises. We also picked up side jobs: Rachel sold handmade items on Etsy and I started a landscaping business, which brought in a few hundred extra per month. Eventually, we were contributing an average of $3,500 per month toward our loans. We didn’t put every extra penny toward debt, though. It was important to us to work toward a positive net worth at the same time as we lowered our debt, so we invested. After about eight months of aggressively paying down debt, we began prioritizing our retirement contributions, ultimately maxing out our employer-sponsored plans and IRAs. Crossing the finish line: In just about two years, we’ve wiped out about $80,000 of student loans, which has freed up a ton of money. Not only does that allow us to invest more, but it’s given my wife the freedom to stay home with our newborn. We do still have about $23,000 of debt to pay. But since the interest rate is about 3 percent, we’ve consciously slowed our progress in order to make our money work harder for us in the stock market. Today, our assets exceed $170,000—about $142,000 in retirement accounts, $26,000 in regular investment accounts and a small cash emergency fund—and we’re looking forward to growing it. Claudia, 32, and Garrett Pennington, 35, a marketing specialist and sales specialist in Lancaster County, Penn. “Our debt ‘aha’ moment was realizing we couldn’t pay off $16,000 of debt before the no-interest period on our credit card expired back in April 2015. We knew then we needed to turn our finances around. Our net worth was somewhat offset by a small cash savings and some retirement funds—but we were essentially starting from scratch. Getting started: We ruthlessly slashed daily expenses and put our home on the market—eventually eliminating the $1,000 mortgage payment—and put 10 percent down on a $70,000, 500-square-foot tiny home. We donated or sold about 80 percent of our stuff, earning hundreds from Craigslist buyers—all of which went toward debt. We also substantially increased our incomes. I left my part-time nonprofit job for a full-time marketing gig—doubling my salary. We also began an SEO consulting business, which brought in $1,700 per month in its first year alone. Thanks to the one-two punch of cutting costs and making more, we made massive monthly payments—anywhere from $900 to $7,000 per month. Crossing the finish line: We paid off our credit card debt within six months, then started aggressively paying off our new mortgage. By November 2016, we owned our tiny home outright. That freed up enough cash to zero out the rest of our loans—and finish paying off all our debt—by March 2017. My one regret during this time is not saving, which I admit is risky, or investing more. But since being debt-free, we’ve been saving and investing thousands per month. Our net worth now exceeds $100,000—between our home, retirement investments and cash—and we’re working toward our next lofty goal: financial freedom. For us, that means creating passive income streams that cover our annual expenses. Brian, 47, and Lynn Brandow, 46, IT project manager and retail associate in Long Island, N.Y.
“Back in 2010, Lynn and I were planning a family vacation. But when I tried to swipe our five credit cards, we didn’t have enough credit available to pay for the trip. I asked the banks to increase my credit limits without any luck. Though this was our rock bottom, it gave us the motivation to start learning about good money management and how to pay down our $109,000 of credit card debt. While we had some retirement savings at the time, we also had an underwater mortgage—so we had our work cut out for us. Getting started: Our first step was creating a lean budget and cutting back on things like eating out and entertainment. Lynn also went back to work as a part-time retail associate, earning $600 to $800 per month. We ultimately utilized a free debt management program through our credit union, which helped us negotiate reduced or waived interest rates. This didn’t discharge any debt, but getting a break here was an incredible springboard to begin repaying debt. Crossing the finish line: Over the next four years, we funneled as much as $2,200 a month, or about 30 percent of our take-home pay, toward our credit card debt. (We also built up a small emergency fund of $1,000.) By September 2014, we’d paid it all off. Debt freedom has brought our family peace of mind. Lynn and I continue to regularly communicate about money, which is an important part of being good financial role models for our kids. Now we’re focusing on building our wealth. Our net worth is currently $366,000 between retirement accounts, cash, cars and our home (which is no longer under water). Every dollar we put toward debt is now saved or invested.